Although the actor doesn't have a "ripped" body, his intense exercise regime for new movies 'Noah' and Superman reboot 'Man of Steel' has got him into incredible shape. In a posting on his twitter page, he revealed: "I'm 48, definitely feeling my age, but I have never been stronger. My musculature is not fine or ripped, but it's real, Ark builders muscle (sic)"
Russell has been sharing his fitness tips with his followers on the micro-blogging website and he is so dedicated to keeping in shape he will always find time to exercise even after a long day of filming. He tweeted: "Long hours mean short workouts, 7km stat bike, dumbell bench 10 x 50,60,70, 80lbs per hand, 2 x 10 goblet/swing/oh press 50lb kb 50 push ups (sic)"
However, Russell is only human and he does still need to relax and he allows himself treats every week. He tweeted: "F*** it, I'm going to have a vodka. It may be 7.27am in the real world, but it's after work for me (sic)." 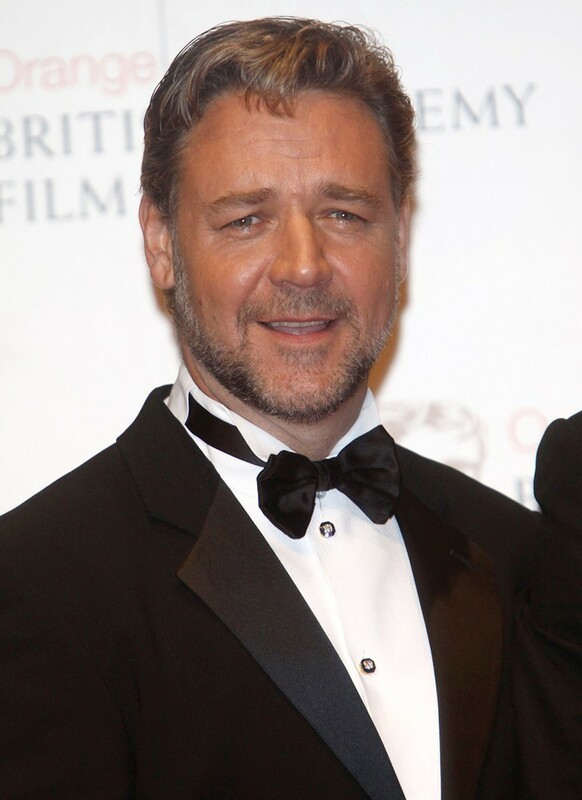 Russell can next be seen on the big screen in 'The Man With The Iron Fists' starring alongside Lucy Liu. Set in feudal China, Russell plays a blacksmith who makes weapons for a small village but is then put in the position where he must defend himself and his fellow villagers. 'The Man With The Iron Fists' is out in cinemas in December.